If you’ve ever had a reading with a truly gifted Tarot reader you were probably amazed at the amount of information they were able to receive from their cards. No matter how long you have been practicing your own skills you may feel that your readings just don’t have the same depth and have been left wondering just what the secret is that allows some readers to connect on such a deep level to the cards in order to extract so much information from them. 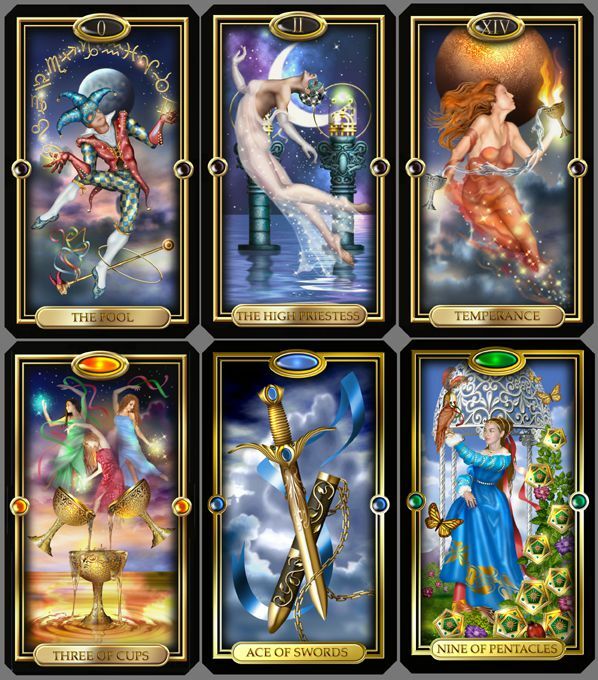 Well, I’ll now share one of the secrets with you and no matter where you are with your Tarot reading skills you will be able to start to bring a new depth and insight into your interpretation of the cards right away! Have your Tarot journal and a pen close to hand. Take up your favourite deck and shuffle the cards. When you’re ready spread the cards out face down in a fan shape and run your hand over them until you feel the energy of one calling you. Pull that card out and lay it face up. It doesn’t matter if the card is a major arcana, a court card or one of the minor arcana. First look at your card and write down the traditional interpretation of it. Now, we are going to use this as a gateway to getting more information from the card in relationship to specific areas of life. Again, let go of what the card traditionally signifies. Look at it again. Imagine for a moment you have asked a client to pick one card in answer to a question about romance. Suppose say that card turns out to be one not usually associated with romance – say the four of pentacles. What would that card signify with regards to a relationship? Now look at your card and imagine it represents a relationship. What is it telling you about the relationship? Make a sub-heading in your journal under your previous entry ‘Romance’ and write down anything that comes to mind. Don’t get stuck on one meaning allow the card to ‘come alive’ and give you a unique perspective each time, let the cards speak to you. The more you work with the cards the deeper your relationship with the cards becomes and the flow of information should get stronger. Now imagine your client has asked you about work and finances. What does this card tell you about that? Again, under a sub-heading of ‘Work/Money’ write down what comes to mind. Now, do the same for any other category you can think of – health and wellbeing, spirituality, empowerment, family, friends and see what the card tells you about these situations. When you have finished you will be amazed at the amount of information you have been able to get from just one card! Obviously you can repeat this exercise and work your way through the entire deck. If you pick a card more than once don’t necessarily dismiss it – it could be the card has more information for you that you didn’t tune into the first time. This is a powerful technique which really puts you in touch with the true magic and amazing depth of information your cards contain. Practice as often as you can and you will soon be reading like a professional. Advanced Tarot Techniques: Become a Tarot Detective! Access hidden meaning in the cards with Michele’s Tarot Detective technique!